Rick Abelmann is a bankruptcy attorney admitted to practice in Hawaii and New York. He graduated in economics before entering law school, and worked for both small and large business and firms in the past. Rick previously practiced corporate and securities law in Hong Kong with Clifford Chance, one of the largest law firms in the world, and also spent time working on the trading floor for the equities division of the Wall Street investment bank Morgan Stanley. He worked on transactions valued at hundreds of millions of dollars on a regular basis. After leaving the corporate world, Rick worked on a small technology startup and realized that he enjoyed working in a small company environment. 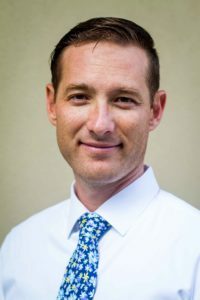 “I was introduced to a local bankruptcy attorney and quickly realized that I excelled at and enjoyed the practice of bankruptcy.” Rick has since worked with hundreds of families throughout the State of Hawai’i to help solve debt problems and relieve the stress and anxiety associated with financial distress. Says Rick, “One of the best parts of my job is being able to meet with my clients and personally take an active role in advising them on steps they can take to help solve their problems.” His clients receive a lot of one-on-one attention from Rick and his staff, from the day the free consultation is set to the day the Chapter 7 or Chapter 13 bankruptcy is discharged and the case is closed. Rick’s goals are to help calm your fears, keep you educated about the process, and help you make the decisions that will help you to get a true fresh start through your bankruptcy proceedings. Aside from his law practice, Rick is a husband as well as a father to three beautiful children. If he can’t squeeze you in to a Saturday appointment, it is most likely because he is trying to spend time with his family. He also enjoys surfing and swimming in the beautiful waters surrounding our islands. Rick is a member of the Hawaii State Bar Association, the Hawaii Filipino Lawyers Association, the New York State Bar Association, and a member of the National Association of Consumer Bankruptcy Attorneys (NACBA). He spends several weeks a year involved as a Director of the nonprofit organization Help One Future, which provides donated school supplies and books primarily to elementary level students in remote areas in the Philippines. He also volunteers his time with Volunteer Legal Services Hawai’i helping low-income people and families have access to justice. He was appointed as a Lawyer Delegate to the USDC District Conference for 2013-2016.